Yes, it is far easier to make it with a packet mix but it’s more delicious when you make it from scratch. 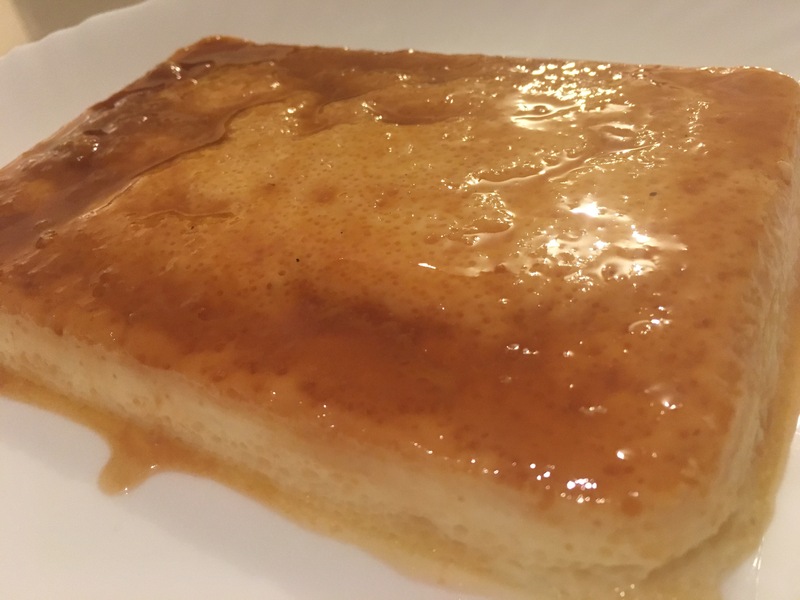 A loved one really enjoys creme caramel despite not having much of a sweet tooth so I thought I’d make some for her. Here’s the recipe I used (and modified!). It’s pretty easy to follow. In a heavy bottom pan, add the sugar and water to make the caramel. Before putting it on to boil, make sure you use a wooden spoon and dissolve the sugar as much as you can. 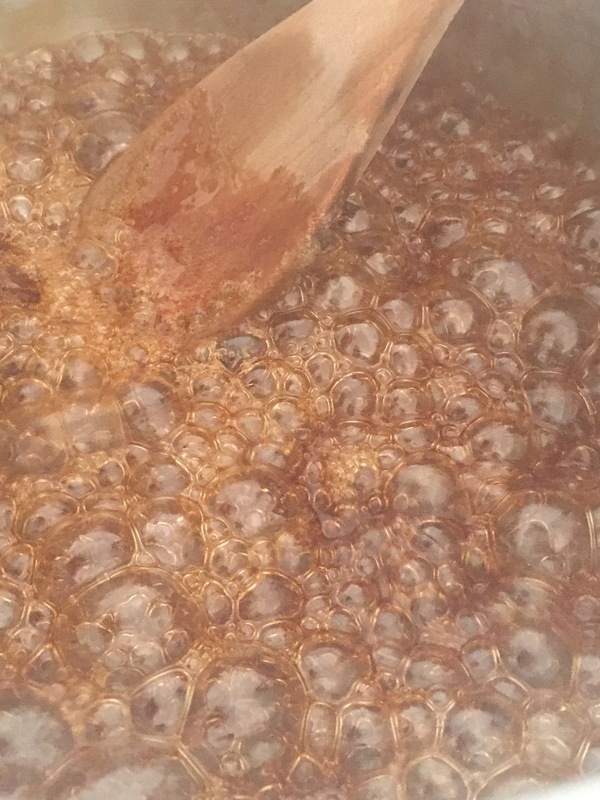 Boil until the sugar turns a caramel colour. You’ll be able to judge from the scent that wafts in the kitchen. Very carefully, pour either into 8 small ramekins or one big dish. I used a big dish. 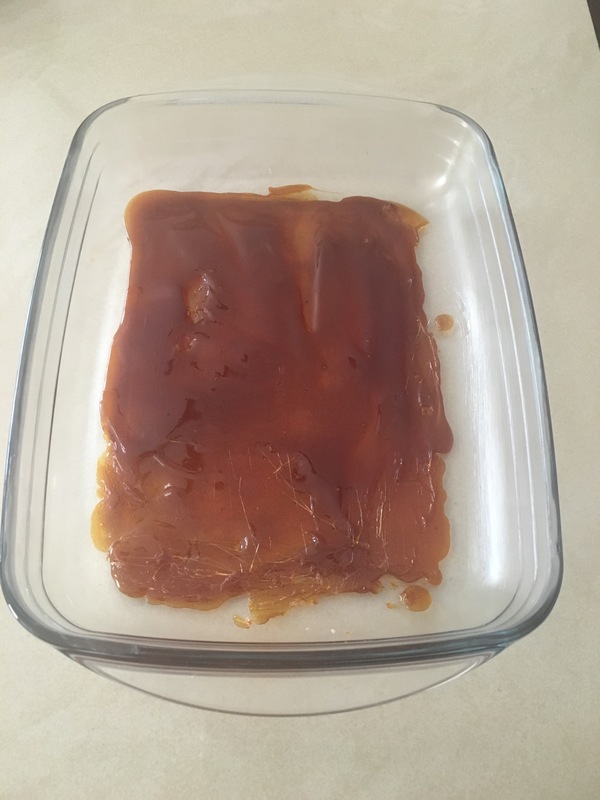 Spread the caramel all over and remember to work swiftly as the caramel will harden on contact with the cold surface and it will be difficult to get it to spread across the dish. Once you have done this, take a serviette or piece of kitchen towel and dab butter on it. Use this to line the dish on the inside. 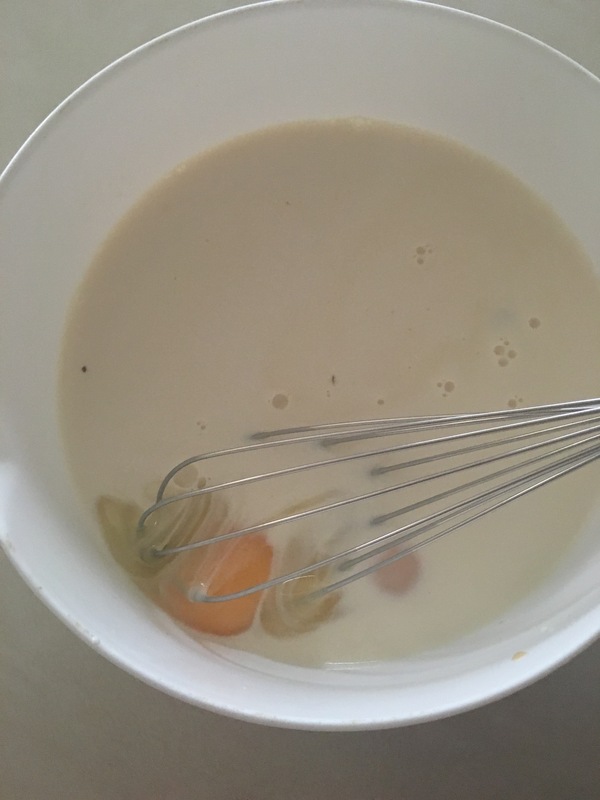 Beat together the eggs, sugar, milk and vanilla essence and gently pour on top of the cooled and set caramel. 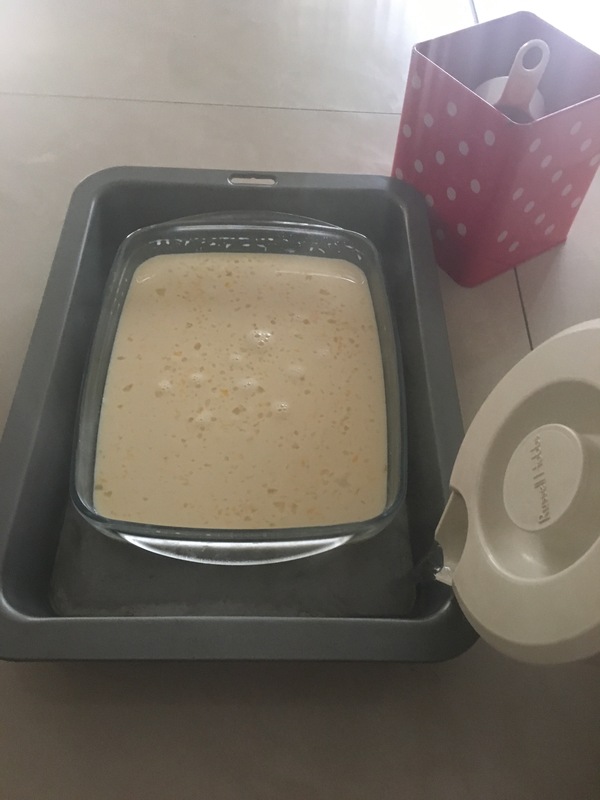 Put your ramekins or dish in a baking pan and half fill the pan with boiling hot water, taking care not to let any water pour or splash into the custard. Bake this for 25-35 minutes in a medium oven (180degC) or until the custard is set. You can check this by dipping in a skewer to check the consistency. It should be set. 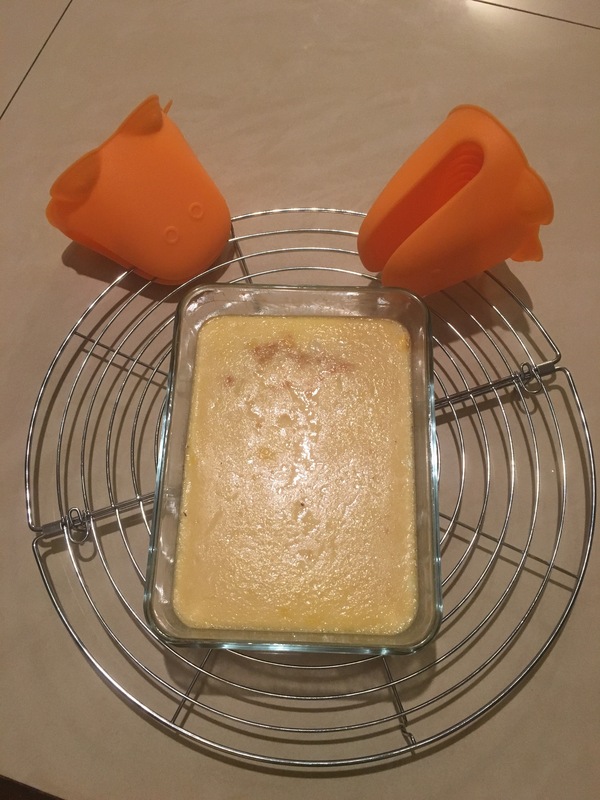 Carefully remove from oven and place the dish with the custard on a wire rack to cool. After it has cooled down, place in refrigerator for at least 2 hours before serving. Turn it upside down on a large dish and serve! The ramekins are great for individual servings. It seems like a lot of work but this is one of the simplest desserts I’ve made.